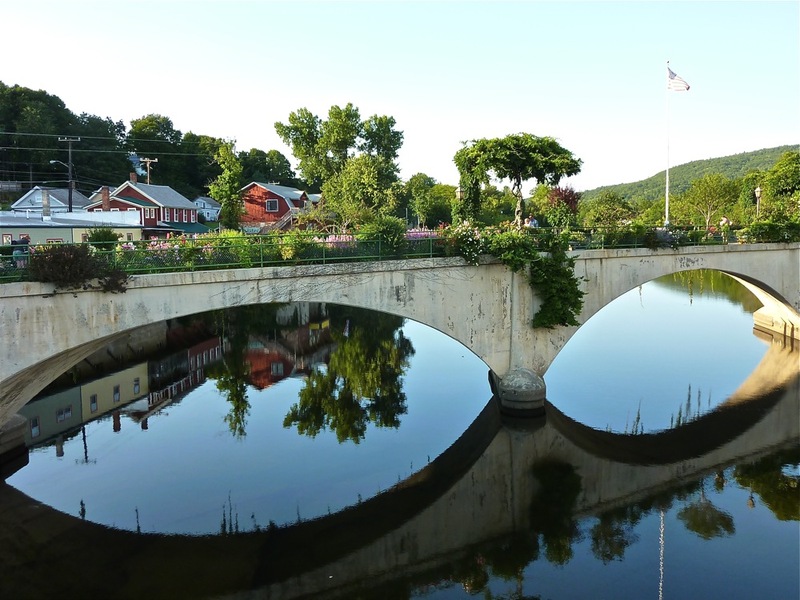 Exploring the Bridge of Flowers, Glacial Potholes in Shelburne Falls, Mass. 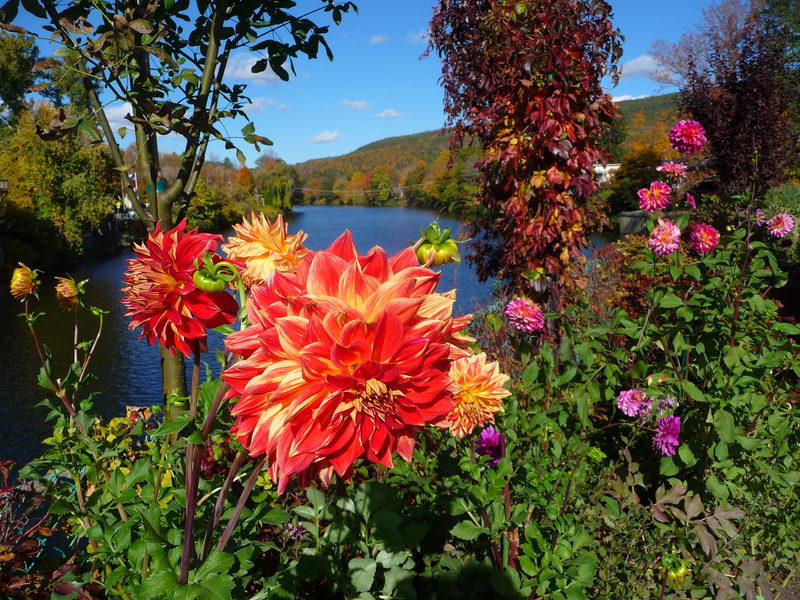 The one-of-a-kind Bridge of Flowers in Shelburne Falls, Mass., is a must-see New England travel attraction as this former trolley bridge features 400 ft. of more than 500 varieties of flowers, shrubs and vines! 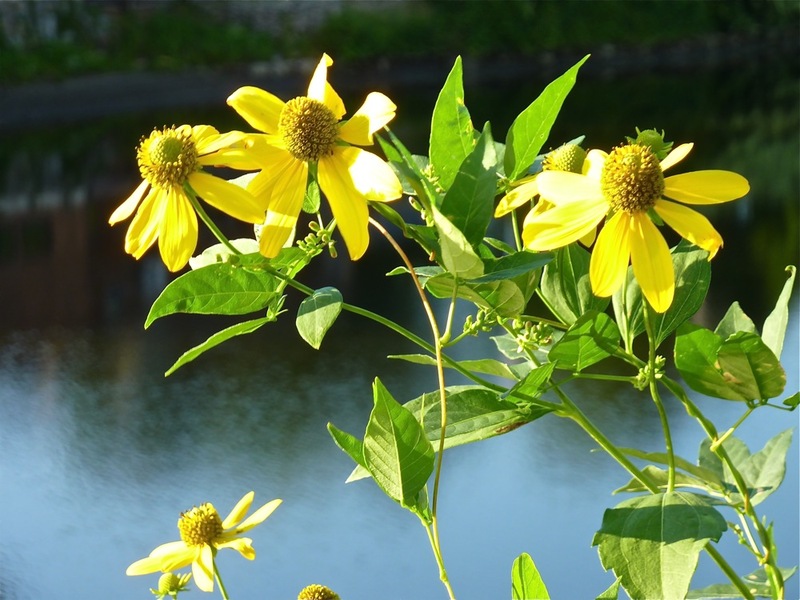 The best times to see the Bridge of Flowers: the spring when flowers bloom, summer when everything seems to be in bloom, and in the fall when the surrounding foliage lends an added depth to an already beautiful location. 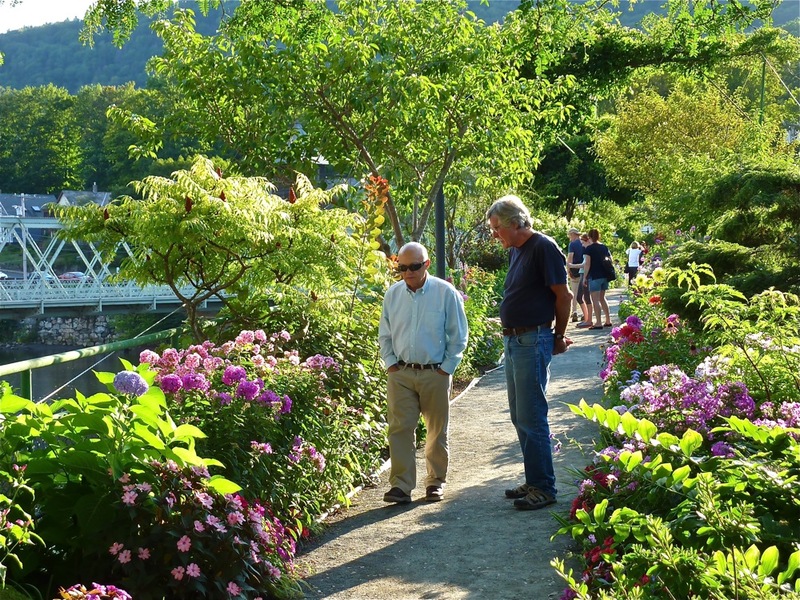 The Bridge of Flowers continues to grow from donations and the work of local volunteers, with colorful displays from approximately April to October. 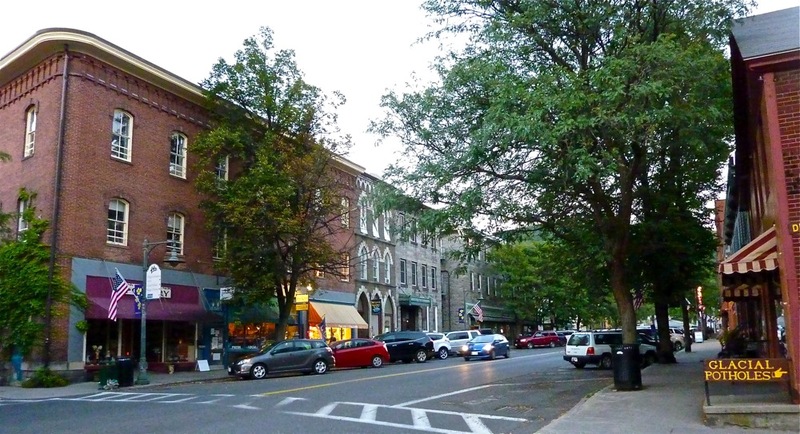 Additionally, you’ll find many things to do on either side of the bridge — the Norman Rockwell look of the small downtown Shelburne Falls features locally-owned shops, boutiques, galleries and restaurants, while tiny Buckland offers McCusker’s natural food coop, the West End Pub with lunch, dinner and great water views, and Mo’s Fudge Factors with great fudge and Bart’s homemade ice cream. 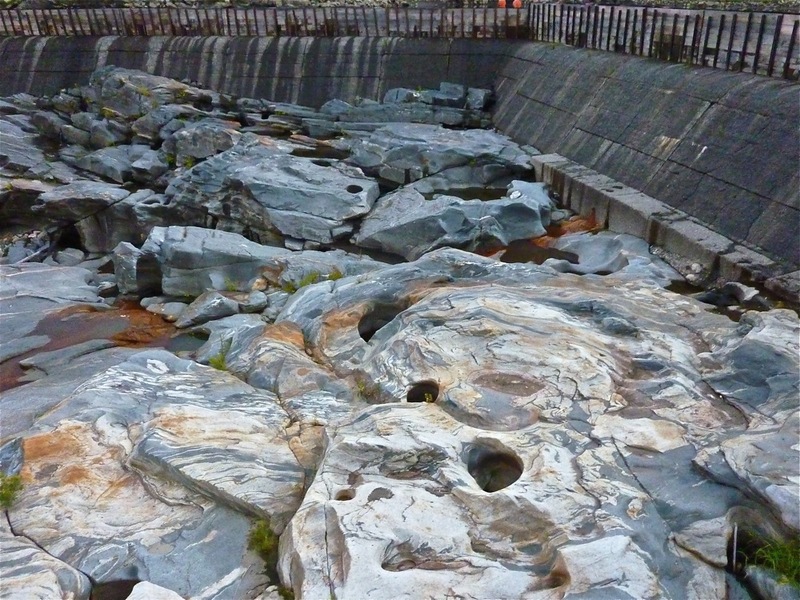 All we can say is that these potholes are much more welcoming than the ones you see on Massachusetts roads! 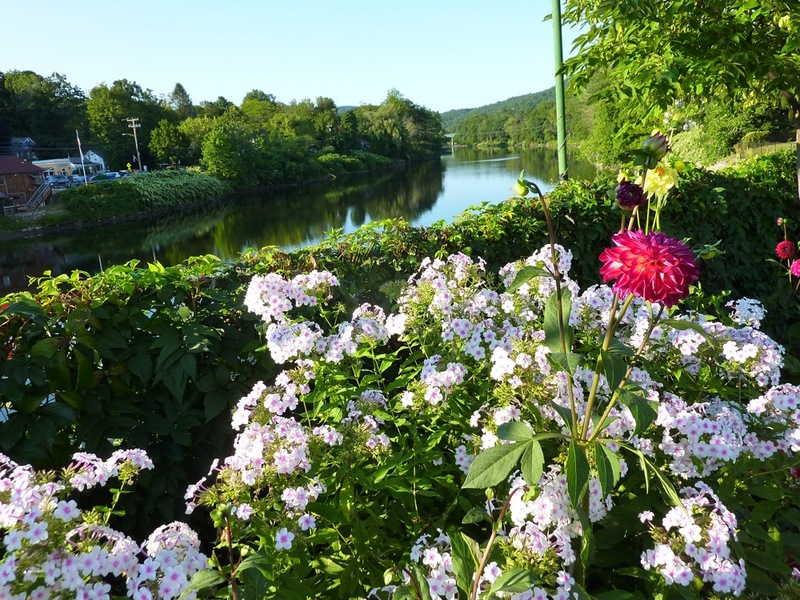 Bridge of Flowers, Shelburne Falls, Mass. 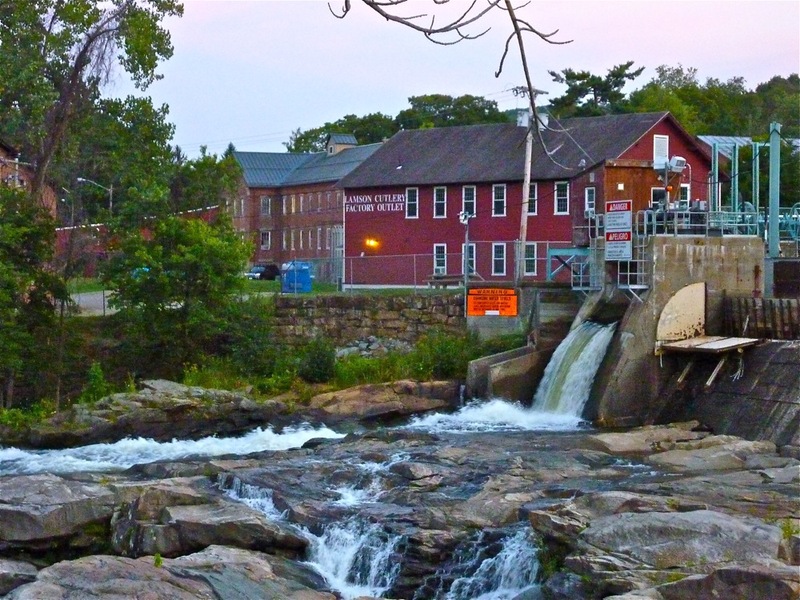 Salmon Falls separates Buckland and Shelburne Falls, Mass. The Bridge of Flowers is located off Wilson St., downtown. 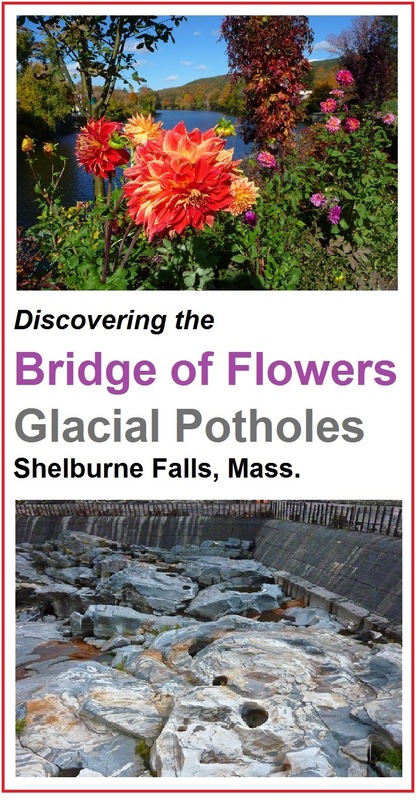 If you enjoyed this article on The Bridge of Flowers and Glacial Potholes, please share the graphic below on Pinterest. Thanks!